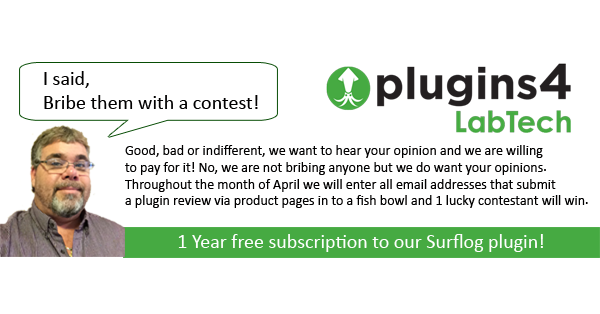 Plugins4LabTech is having a contest and they are giving away a subscription to Surflog to 1 lucky participant. All they want is your honest opinions on the plugins you use. If you think your MSP will benefit from a free year of Surflog then go visit www.plugins4labtech.com and post your reviews.